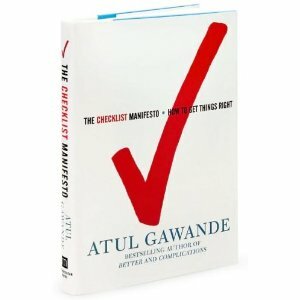 Over the weekend I read The Checklist Manifesto by Atul Gawande. It was recommended to me by a teammate (thanks Heather) . My library had a copy, so I checked it out. The point of the book is not that checklists and the answer to everything, which is what I was expecting. Rather, developing effective checklists help to identify what’s both critical and routine, where in your process those checks need to be made, and helps disparate or new teams to come together quickly and efficiently. Using brief, effective checklists at key stages reinforces consistency and quality and allows your brain to focus on what needs creative latitude. It also has a secondary benefit of helping encourage effective communication. The brook provides practical and statistical evidence from surgeons, pilots, and large-scale construction, and it could be applied to IT, Project Management, Security, and more. It’s available in hardcover, paperback, CD, and on Audible.com. As a Manager when it comes to communication, you should be able to add value, otherwise, why are you involved? Think about it. With today’s e-mail centric business environments it’s completely possible for a CEO or senior level executive to just e-mail everyone in the company. Your role as a manager should be to add value, to shape and to customize the message and information for your reports and for your audience. You add value by accurately interpreting the message and putting it into terms that your reports understand, and can provide actionable items if needed. There can be potential security or strategic issues to take into account for sure. However, to assume that the information is always intended only for you as a manager and not to go anywhere else does not make for an effective organization. Develop effective business communication practices.There is no point in having the information if it does not answer a question, address a need, provide direction, or affect change for your organization. Image by P Shanks under CC license. Not all engineers are blessed with having a seasoned Manager with strong communication skills and business training. Sometimes engineers get promoted to a senior position for their technical prowess without having all the leadership training they might need to be as effective as possible. You can help them succeed, and in doing so, you’re likely to be more successful as well. A word of caution, not all Managers want feedback and direction from reports (which is unfortunate and ultimately self-destructive.) Consider how and when you provide the feedback, and remember to be respectful and professional. Here are some ideas to get you started. Regular check-ins. If you don’t have them, maybe you should ask for them. It shouldn’t be a bad thing or time-consuming, it’s an opportunity for you and your manager to discuss goals, progress, and expectations. It’s also an opportunity for you to receive feedback. Your manager should be giving you slight nudges in the right direction if you’re veering off course, not a shove as you’re about to go over the cliff. Clear expectations. If you don’t know what it means to complete assigned tasks and projects successfully, ask for clarification and get an answer you can understand. It’s not a negotiation, you may not agree with what your Manager defines as the end state, but you do both need to understand what done means. Learning style. If you need to take training or take in a lot of information, help your manager to understand how you best learn. If you’re a visual learner, a 30 minute discussion on the phone over spreadsheet numbers might not accomplish what your manager had hoped. Information flow. 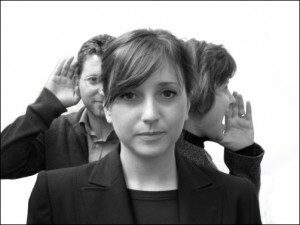 Managers should be communicated through, not to. 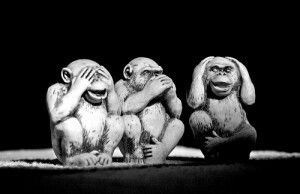 When senior leadership provides information down to managers, the intent (hopefully) should not be that the information stops with your manager. 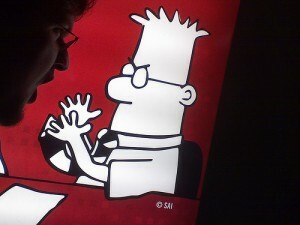 Your manager should see themselves as a conduit and translator of information. Granted they might not be able to share everything they know all the time in its entirety, but as a general rule they should be parsing what they learn, translating it into terms you understand, and turning that into actions you can complete if needed. If you feel something is missing or that what you’re working on doesn’t seem to fix with business goals, work with your manager to clarify expectations and get the info you need to be successful. Be concise with your feedback. Your manager may not mind receiving feedback, but if they feel their time is being wasted unnecessarily, they may not be as receptive as you’d like and may miss the message you’re trying to convey. Have realistic expectations of your own. Know that someone that has poor communication skills and not much empathy will not suddenly be what you want them to be just because you give them feedback. Unfortunately there can be ineffective managers, people that have no business being in a leadership position or at least not their current one. Be professional, tactful, and constructive, and accept that there may be only so much you can do. You may have more success changing your reactions and interactions with your manager than you will trying to change them and their behavior. Hopefully though you can provide helpful information to your manager and some insight as to how they can be more effective and in turn help yourself be more effective in the long run. Photo by blue_j under CC license. Mistakes happen. No matter how much training, experience, or process controls we have in place it’s still possible to misconfigure, bring down a system, or cause a customer to go down unexpectedly. And it feels horrible, that sinking feeling in your stomach as you start to realize what happened. Unless you’re working with an engineering-centric organization that understands the all technical issues involved in the problem as well as you understand them, as an engineer you probably have the additional challenge of translating and clearly communicating what happened, especially to non-technical parties. Have a good relationship with your customers and coworkers to begin with. Far too often there are antagonistic relationships between IT and Business, Engineering and Sales, etc. Develop trust and a good working relationship so that when there are issues you can address them together. Take responsibility. Don’t blame other people or the situation. If you did it, be accountable. Be clear and concise, and explain the issue in a way that makes sense to your audience. Don’t use a lot of technical jargon and details. At best your victims will be confused and frustrated, or worse you’ll seem like you’re being dishonest. State the solution. Whether the issue is fixed or about to be, explain what the resolution to the situation is. Deliver the message in the most effective and appropriate way possible. An email might not be the best way to communicate the apology. You may need to be on the phone or deliver the message in person. Ask for feedback. It’s an opportunity for the other party to express concerns or items you may have not considered, and it’s a chance for you to become a better engineer. And remember, the point of the apology is not to be absolved of any wrongdoing. If you screwed up, fix up, get up, fess up. Photo by Anderson Mancini under CC license.